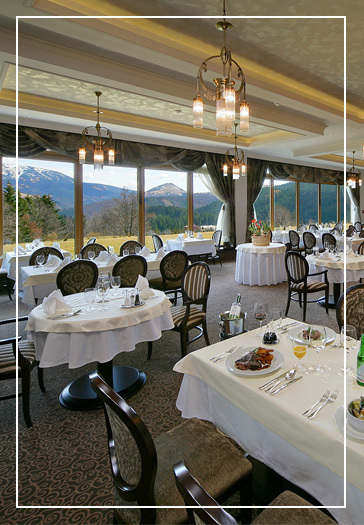 Great cuisine and spectacular view of the surrounding mountains will combine in a unique culinary adventure you can experience at the Residence Hotel & Club Donovaly ****. Grand Restaurant with a breathtaking panoramic view and the capacity of 100 persons is a good place for gastronomic pleasures and also for celebrations and congresses. The sunny part of the Diamond Hill Restaurant with the capacity of 70 persons can be separated from the Grand Restaurant with a steady wall providing complete privacy. After these two rooms join in one, an ideal space for big weddings and celebrations is formed. Day bar Café Residence with a terrace and a view over the peaks of the Nízke Tatry mountains provides you with relaxation after a glass of warm grog, a cup of excellent coffee or homemade lemonade. A wide range of quality Slovak and foreign wines will make your evening at bar nicer. In the high season, between 4:00 and 8:00, we do not serve meals from a lá carte menu at the restaurant. A dinner buffet is served from 6:00 pm. 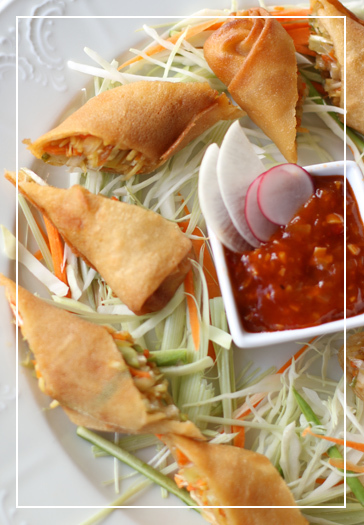 The snack menu and children’s meals are available daily from 11:00 am to 10:00 pm. We wish you the most enjoyable stay and meals. Team Residence. 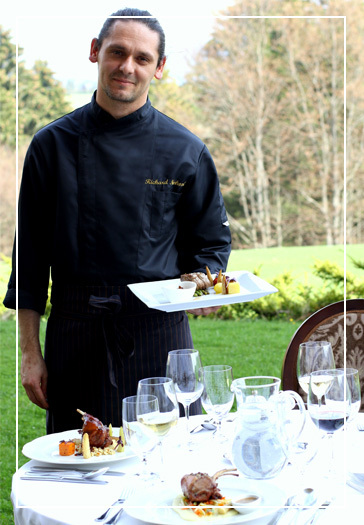 While compiling regularly updating menu, our chef Richard Noskovič is inspired by the philosophy “food as medicine”. Our kitchen is focused on quality and seasonality. In addition to our classic à la carte menu, we offer also healthy Zenaya menu prepared from fresh and organic ingredients. Our culinary weekends are becoming well-known and popular tradition over two years. Thanks to this, Slovak and healthy specialities are a great surprise and the icing on the cake of your relaxing holidays. We can guarantee that the excellent cuisine and spectacular view of the surrounding mountains will join to produce a unique culinary adventure with fantasy. And that is why at our hotel we serve healthy menu prepared to recipes which are as unique as you are. They are full of love and health, they contain only well-rounded nutritionally balanced ingredients. There are no chemicals, artificial matter, colouring, additives, preservatives, E numbers, white flour, refined sugar, or dairy products. The only part of alphabet in our recipes is this: vitamin A, B, C, D, E, K. The only additives in our recipes are those of nature, such as calcium, copper, iron, magnesium, manganese, phosphorus, potassium, and selenium. Regarding our diverse kitchen we never forget our youngest guests. 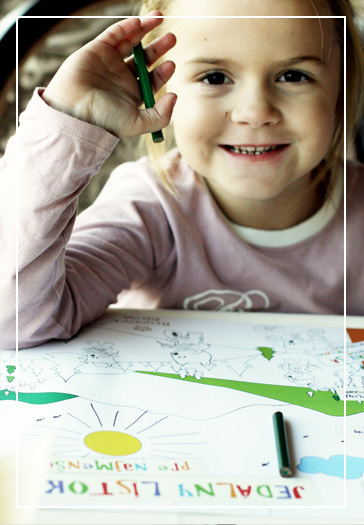 Just as we try to please the adults, we have children’s menu for our little ones as well. Healthy and tasty meals are prepared with love and a smile on our faces. Sweet pancakes, yummy soup, chicken steak, however firstly it is vegetables and fruit which will please every kid.